Orthodox Christian Fellowship (OCF) is the official collegiate campus ministry program under the Assembly of Canonical Orthodox Bishops of the United States of America. OCF transforms the lives of college students in the United States and Canada by guiding them along the path to Jesus Christ through His Church, cultivating a campus community of worship, witness, service, fellowship and education. SS. 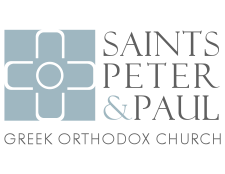 Peter and Paul is the sponsor parish for the OCF at Northwestern University (NUOCF). The NUOCF gathers twice a month for faith, fellowship, and outreach activities. SS. Peter and Paul also offers rides to church and on-campus worship opportunities for the students and participants in the NUOCF. For more information, please contact youthdirector@ssppglenview.org .